A few days ago episode 35 of The UC Architects podcast went live! Service Packed! With Steve Goodman hosting, joined by John Cook, Michael Van Hybrid, Michel de Rooij, Serkan Varoglu, Ståle Hansen and yours truly. Our editor was the legendary Andrew Price. 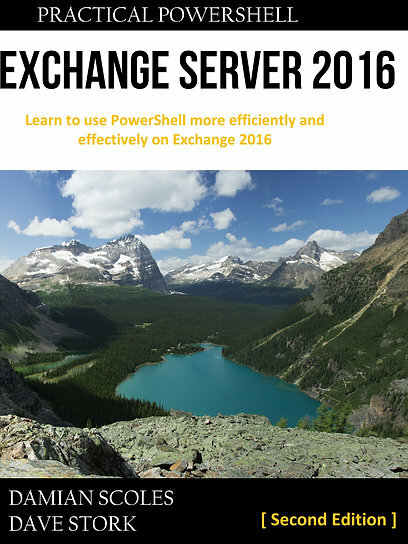 In this episode we talk (a lot) about Exchange Server 2013 Service Pack 1, a quick review of the new features and the detected Transport bug and how we feel about that one. If you have plans to upgrade, be sure to check this part out! Personally I’m happy with the new features and fixes of SP1 (even SSL Offloading, although Steve made some very good counterpoints), but the transport bug is kind of a downer although I wonder how many organizations would be impacted. Luckily Microsoft delivered a fix quickly, be sure to install it right after SP1. No re-issue of SP1 will be made, a permanent fix will be present in CU5. We also talk about other Exchange updates, Office Web App 2013 Service Pack 1. Some important new scripts, Modern Public Folders and it’s limits. And a lot about authentication via ADFS and Multi Factor Authentication options in SP1 and in combination with Windows Azure. There is also some Lync news about several new tools. One topic is the ability to assign static IP addresses to Azure VMs, which led me to question whether it was the first step in supporting the new Exchange 2013 Edge role in Azure. It was part of a more general line of thought, some application would surely benefit from static IPs. This feature could be the step to officially support those applications within Azure, making it more mature. Because around the same time Exchange 2013 SP1 was released with the re-introduced Edge role, which is probably why my mind associated them both together. And for those who are going to the upcoming Microsoft Exchange Conference in a few weeks, not only can you enjoy a live recording of an episode but if you wish to attend our UC Architects party sponsored by ENow, listen to the podcast carefully. You have to register @ http://schedulemymaintenance.com/ and in this podcast there is a mention of a promo code which increases your chances of admittance very much. Attendance is limited, stop reading my post and listen to this episode! You can download the episode here, on the same page links relevant to this episodes topics are listed.